The SDA Black Belt Learning maps are designed for engineers to stay up to date on the latest technology and solutions from Cisco. This Learning map helps to ensure that the three key engineering functions, namely Pre-Sales, Deployment and Support are able to align to the “Land, Adopt, Expand and Renew” sales motion in Cisco. 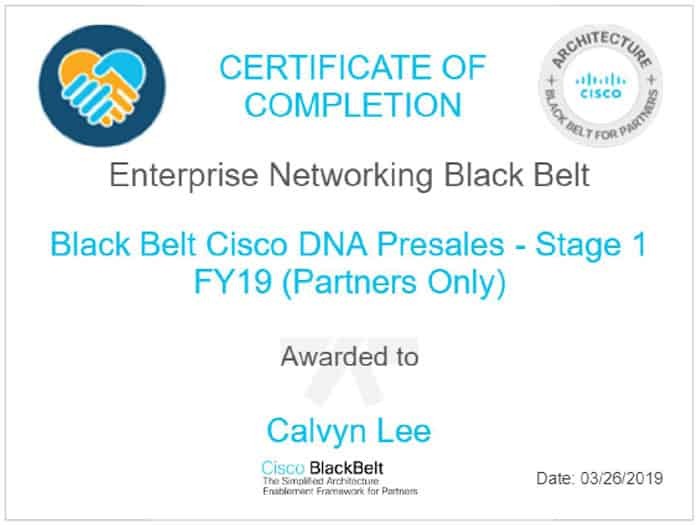 Apart from Cisco Blackbelt SDA Pre-sales Stage 1, if you wish to explore Cisco Blackbelt Wireless Pre-Sales Stage 1 Quiz, click here and for more information about Cisco BlackBelt 20, you may click here.